Love is in the air! As we approach the most romantic day of the year, I’m sure many of you are cracking your brains and thinking of what to get for your loved ones! But what other better way to show your love than to bake? 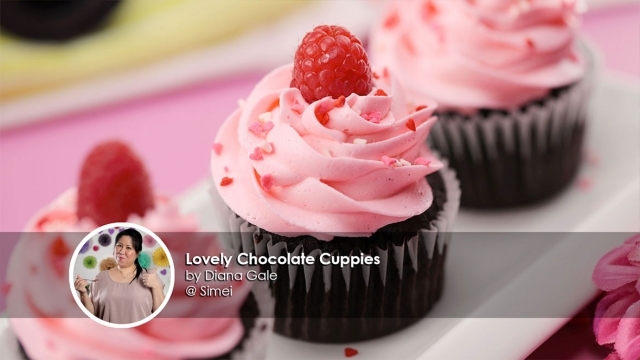 Today, we’ll be sharing with you a recipe fit for Valentines’ Day! This recipe is shared by Diana Gale. She’s a professional baking instructor, a recipe book author and also runs an award-winning food blog – The Domestic Goddess Wannabe! There’s no reason for you to not try out this recipe! Here’s bringing to you Lovely Chocolate Cuppies. 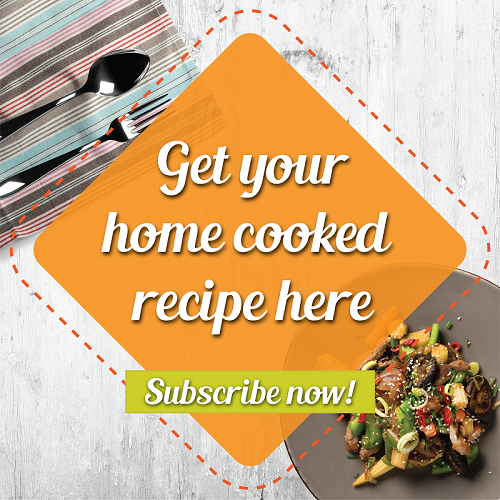 There’s no reason for you to not try out this recipe! Before we get to work, you’ll need to prepare these ingredients for your chocolate cuppies: Plain or cake our, cocoa powder, baking soda, caster sugar, chocolate milk, unsalted butter, vanilla seeds, an egg, icing sugar, heavy cream or heavy whipping cream, salt and colouring. Let’s start to prepare the ingredients first. 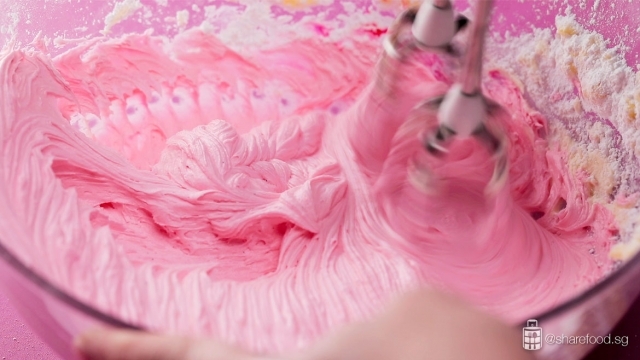 Place all the cupcake batter ingredients except for the egg, into a mixer and beat it. Then, add in the egg and beat until well combined. Line some cupcake liners on a muffin tray and fill each cupcake liner with the batter until 2/3 full as it will expand when it bakes. So, remember not to fill it to the brim. 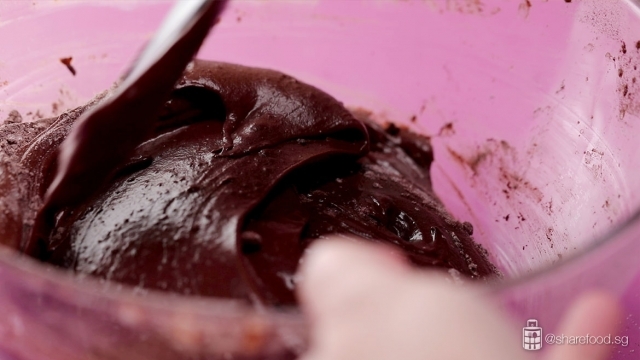 One tip is to use an ice cream scoop to fill the cupcake liners to prevent mess and this will divide the batter evenly! To maintain an even surface of the cupcake, do turn off the oven fan! 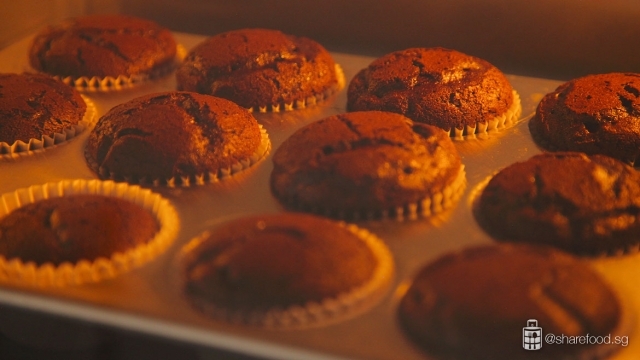 Before you place your cupcakes in the oven, remember to preheat the oven at 180 degrees first! 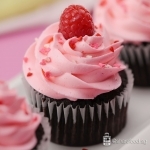 Proceed to bake the cupcakes for about 18-20 minutes or to check if the cupcakes are baked, you can simply insert a skewer in the cupcake and if it emerges clean, it is ready! 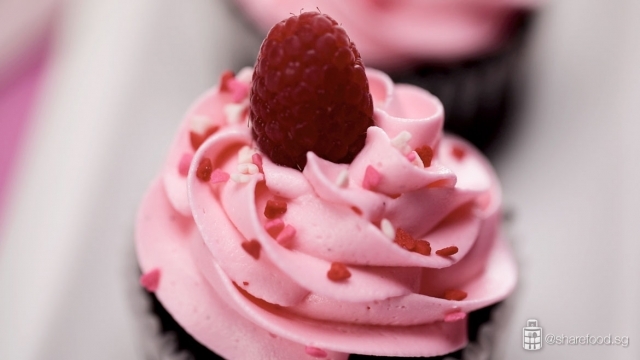 To maintain an even surface of the cupcake, do turn off the oven fan as it might be too strong and will ultimately give your cake an uneven surface, making piping difficult! Once the cupcakes are done, let it cool on a pan first, before transferring onto a wire rack to cool completely. It's time to prepare the butter cream! In a bowl, use a mixer and beat the butter until smooth. Then, add in powdered sugar and mix on low speed first before increasing to medium speed and mix it until the mixture are well combined. Add in the rest of the ingredients for the butter cream and beat on medium to high speed until the mixtures is well-incorporated. Proceed to scrape down the sides of the bowl as needed. You can add in 1 tbsp of heavy cream gradually to smoothen the texture.
! Once you're done frosting, decorate with some sprinkles and these cupcakes are ready to be served! Here comes the fun part! Insert the piping tip into a piping bag and fill the bag with butter cream till it's 2/3 full. Then, cut the tip of the piping bag and squeeze out the butter cream. You can start to frost the cupcakes now! Once you're done frosting, decorate with some sprinkles and these cupcakes are ready to be served! Food is always the way to go! As we all know, food is always the way to go! 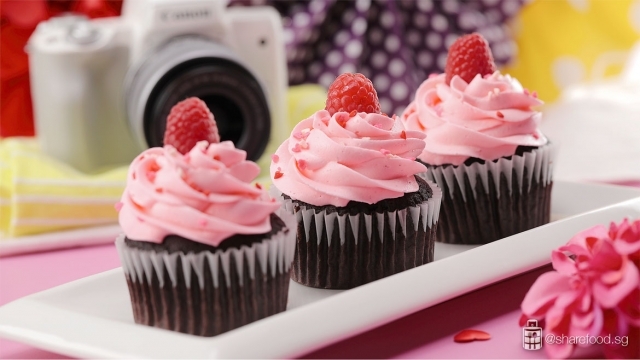 Instead of buying gifts, why not bake some cupcakes to show your love? I'm sure your loved ones will be even more surprised with this gift. Learn this recipe today! Place all the ingredients, except for the eggs, into a bowl. Use a mixer and beat for 1 min. Add in egg and beat until well blended. 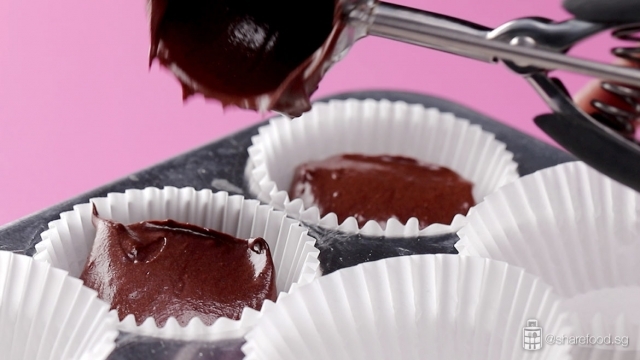 Place cupcake liners in the muffin tray. 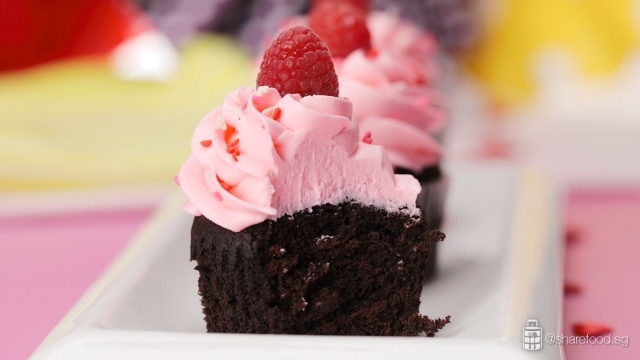 Fill each cupcake liners with the batter till it 2/3 full. Bake in the pre-heated oven for about 18-20 mins, or until an inserted skewer emerges clean. Let the cakes cool in the pan for 5 – 10 mins before transferring onto a wire rack to cool completely. In a bowl, use a mixer to beat butter till smooth. Add in powdered sugar and mix on low speed, then increase to medium speed. Continue to mix for another 1 – 2 mins until the mixture are well combined. Add in heavy cream, vanilla pod, salt and 2 drops of coloring, beat on medium to high speed till everything comes together. Scrape down the sides of the bowl as needed. Add in 1 tbsp of heavy cream gradually to smoothen the mixture. Insert the piping tip into a piping bag, fill the bag with buttercream till it’s 2/3 full. Cut the tip of the piping bag, squeeze out the buttercream. Frost the cupcake as desired. Decorate with sprinkles and serve immediately.